I'm back with a tweetum post. But not literally. Since I was bumping into sites that talks about wedding stuff, I have decided to share one of the important things during the wedding, It's the Wedding Shoes. Right? It's every woman's dream to marry her prince charming and this should be a memorable one. Were in, it is all planned in every request of the couple. From the motif to venue, clothes and even the perfect pair of Bridal Shoes! Groom shoes is not a problem anyway, just a pair of leather shoes will do! So, let me share you some shoes that would be perfect for your wedding dress. Blue Satin Platform With Floral Strap - There's nothing else to compare with this blue satin platform to complete your wedding attire. Popping some colors would be that interesting! 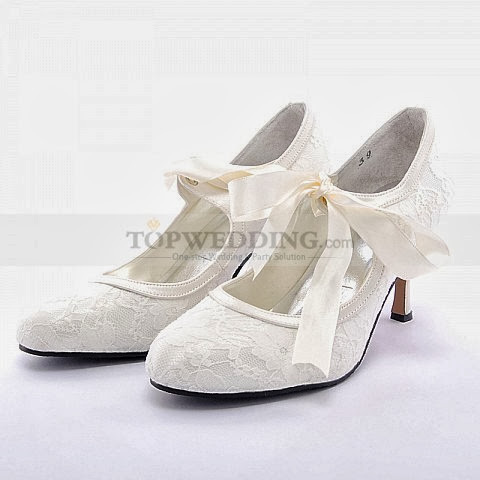 Lace Overlaid PU Leather Pumps - If you don't like bold or flashy colors, you can try this ivory lace leather pumps to give you the princess feeling! 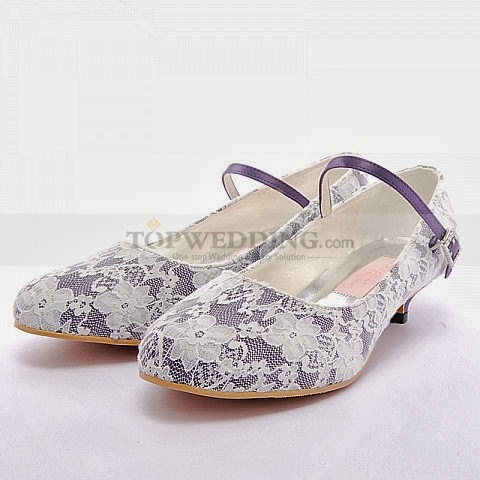 Round Toes Lace Overlaid Low Heel Shoes - or if those two won't pass your taste, this low heel shoes may do! Not so high but not too flat. Just the right heel to balance your walk!